Your 23andMe profile homepage displays the ongoing status of your sample kit from the time you order to the time you receive your results. Results should take 3-5 weeks, but processing times may vary. 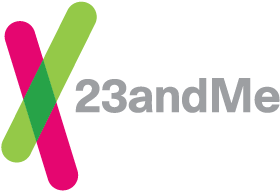 Before you submit your sample, you need to register your kit to a 23andMe account. To begin, go to 23andme.com/start. Once you have registered your kit, a return tracking link will be available in the sample status tile. Samples are typically received within 2-4 weeks. You will receive an email when your sample is received at the lab. Once a sample is received, it enters the queue for processing. This step includes the time a sample spends in the queue at the lab, as well as the visual inspection of your sample, DNA extraction, and amplification of DNA from your sample. *If your sample does not yield sufficient quantities of DNA, this step may be repeated. Analysis refers to the process of genotyping on our custom microarray chip. This step also includes quality review, where the data returned from a set of samples is reviewed to ensure that it meets our standards for call rate and accuracy. *If your sample does not yield a call rate that meets our standards, this step may be repeated. Samples proceed to this step after they pass quality review. Computes compare sample data with the rest of the 23andMe database to generate results for features like DNA Relatives. Once the computes are complete, data is loaded into your account. You will receive an email once your results are available.